The veterans of harm reduction will tell you that they’ve seen all this before. Some see it as a battle between absolutism and pragmatism, and that a pragmatic view necessitates the involvement of all parties, including industry. Others see it as a fight for the vulnerable against powerful commercial interests, and so those interests must be excluded and fought at all costs. I’d like everyone who is interested in vaping to go along, but not everyone has the time or the funds. So once again, for those of you who are interested I’ve popped my notes on to the blog. This is a letter and 7-page briefing to set out issues with youth vaping and to caution against over-reaction. For the fully referenced version, please see the PDF at the link above. The main text is below. Vape advocates will be unhappy with Gottlieb’s plan to restrict flavors (other than tobacco, menthol and mint) to adult-only locations. And anti-vaping activists will be disappointed to hear that the commissioner didn’t announce an immediate flavor ban. Today Food and Drug Commissioner Scott Gottlieb, who has been talking for months about an “epidemic” of underage vaping, finally released the survey datato which he was referring, along with his agency’s plan to reverse the trends that trouble him. As expected, the plan includes a ban on e-cigarette flavors other than menthol, mint, and tobacco in stores that admit minors, along with a complete ban on menthol cigarettes and flavored cigars. Are the FDA’s E-Cigarette Restrictions Legal? FDA Commissioner Scott Gottlieb ended months of speculation about the future of vaping with his Thursday announcement of sweeping new regulations on e-cigarettes, flavored cigars, and menthol cigarettes. The new rules are a response to what he has taken to calling an “epidemic” of youth uptake of e-cigarettes, particularly those produced by the brand Juul, whose wide range of flavors, sleek design, and unique nicotine delivery have made it popular among both youth and adults. Die FDA hat ihre Maßnahmen zur Regulierung aromatisierter Podsystems gegen Ende der Woche veröffentlicht (Juul-Medienhysterie). The Welsh anti-vaping boogieman has returned following two quiet years. Mark Drakeford is campaigning to become the leader of Welsh Labour and is pushing for a vape ban all over again. His last attempt to push this through the Welsh assembly met with a humiliating defeat – but he’s picked up the old drum and is tapping away furiously once more. People who’ve managed to swap smoking for vaping since 2016 will not have heard of his previous attempts to ignore science and evidence as he attempted to push a ban on vaping in public areas through the Assembly. Thailand has banned vaping more times than a new vaper dry burns their wicks. Each time the fresh ban has been accompanied by stark warnings. This changed in 2018 when the government actually did ban all vape products and locked up people transgressing the legislation. An aside from a government department hints that this could all change once again. Does Vaping Reduce Cigarettes Consumed? 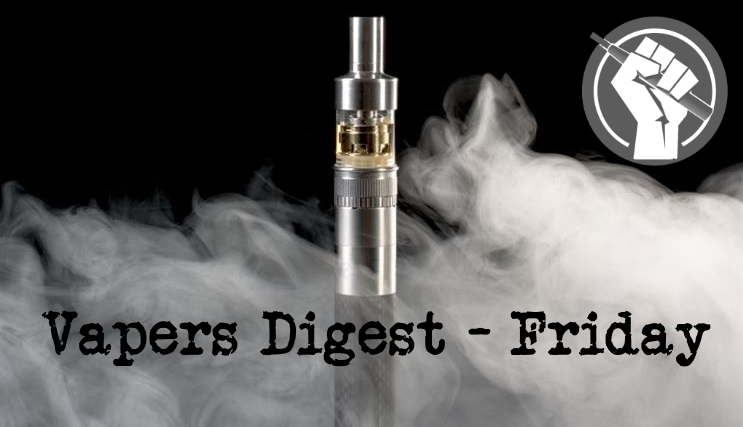 Readers might assume that University of California San Diego (UCSD) researchers set out to do what University of California researchers do – this time debunking the fact that vaping works as a smoking cessation tool. What their results clearly demonstrate is that vaping increased the probability of a successful switch away from smoking, whereas the use of pharmaceutical therapies did not. The Delhi High Court on Thursday told States to adopt measures of regulating/banning E-Cigarettes on their own without relying upon the advisory of the Centre. The single-judge bench of Justice Vibhu Bakhru gave the direction on the plea filed by one Piyush Ahluwalia seeking revocation on the restrictions by Centre on E-Cigarettes contending that E-Cigarettes caused significantly less harm as compared to Cigarettes. We’ve all heard the heartbreaking news that over 480,000 Americans die from smoking related causes every year. We’ve also heard the projections that a BILLION people around the world will die from smoking this century. Heartbreaking to think of so many early deaths, so many families grieving for loved ones. So much money spent on the health effects of smoking. Smoking rates among men in Asia remain extraordinarily high by world standards, with Indonesian men aged 15 and over leading at 76.2 percent. Despite very high smoking rates, high taxes on tobacco and far more extensive bans on smoking than New Zealand, some Asian countries are banning harm reduced alternatives. Alternative smoking devices, which are 95 per cent less harmful than combustible cigarettes, is the future, says Indonesia Public Health Observation Foundation advisor and lead researcher Dr Drg Amaliya. Speaking during the launch of the 2nd Asia Harm Reduction Forum in Manilla, she said thanks to innovation and technology development, alternative nicotine products were available to provide satisfying and less harmful option for smokers to get their nicotine fix without the harmful tar. In March, while reporting a feature about vaping, I interviewed a Cornell junior named Jason Jeong, who had written a college newspaper column called “The Juul Manifesto.” A tongue-in-cheek tribute to the irony-steeped habits of today’s young people, the piece celebrated the paradox of a generation that can pronounce the phrase “açai bowl” but made a meme out of eating Tide Pods. Try as she might, Brittany Kligman couldn’t free herself of a pack-a-day cigarette habit, eight years in duration. And she ached to. She was mortified the time that a taxi driver sniffed as she entered his cab and remarked, “You’re a smoker, huh?” (And she had just showered!) She was getting more sinus infections. In November 2016, we published a groundbreaking report looking at the vaping policies of all UK councils. We have done the same again this year to see if any councils have changed their policies as a result of advice from Public Health England (PHE) which was included in the Government’s Tobacco Control Plan.